The Nordstrom Anniversary Sale happened to coincide with my 2 week bootcamp anniversary. Naturally, a celebration was in order. I snagged these. 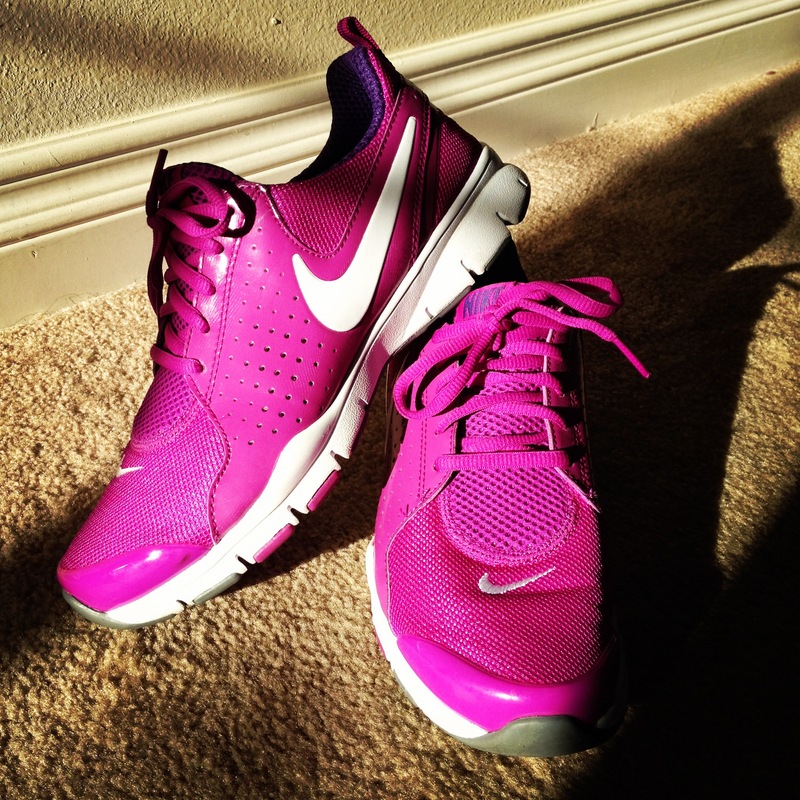 As much as I enjoy fashion, workout clothing is something that I’ve never really been in to. Before I spend $45 on some running shorts, I’d rather get some real shorts that I can wear out. But I have to admit, within a few weeks I succumbed to the fitness fashion peer pressure and invested in a few essentials. I’m still partial to the Hanes A-line tanks (better known as wife-beaters) but at least I can now pair them with some actual running shorts or dri-fit leggings (instead of my pajama bottoms and target capri length leggings). I’m even more ashamed to admit what finally pushed me over the edge. I usually attend the 6:00am class. It’s full of regular people (like me). But I slept in a few days and attended the 8:30 or 9:30 class. It’s full of models and trophy wives. Gorgeous Chanel bags. Perfectly coordinated LuLu Lemon gear. Styled hair. Flawless make up. All of it ridiculous but these women look good. So I caved. I will absolutely not be putting anything more than Chapstick on and pulling my hair up but I can avoid looking like such a rag-a-muffin with my clothes. I must also admit, real workout clothes are actually functional. The shorts don’t ride up and who knew that dri-fit technology serves a legitimate purpose! I love fashion but at my core, I’m really a jeans and t-shirt kinda girl. More often than not, my weekend style consists of skinny jeans and a tee. But I love to style up my basic look with fun accessories and shoes! Chasing a 22 month old means my shoes need to be practical but also cute! 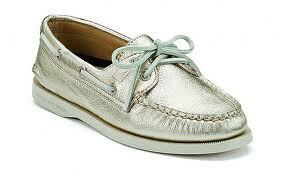 Boat shoes have become super popular (at least here in So Cal) and I’ve had my eye on a pair by Sperry in a pretty rose gold hue. I’ve been hesitant to pull the trigger because although they’re cute, to me they epitomize “mom shoes” (which would only enhance the cheesiness of my “mom backpack” full of animal crackers, juice boxes, first aid kit, etc.But this is the reality of having a toddler =). But the shoes are also $90. With our wedding quickly approaching, I have to be more money conscientious than ever. The budget-friendly Target version was a great find! They are comfortable and go with just about everything. Plus, you can’t beat the price! I’m pleased with the decision here to SAVE! Dorthy Perkins! I came across this large British retailer while perusing on Pinterest and I’m on my third dress! I would call myself more of an online “browser” rather than shopper. Feeling fabrics, trying things on, etc. has always been my preference but I took a gamble and ordered a dress for a friend’s wedding in May. It was about $60, including International shipping – you can’t really beat that! I absolutely love it and now I’m hooked. I would describe DP as a cross between Zara and XXI (or as most of us know it, Forever 21). BUT I think the quality is better and the style is more grown up. I consistently shop Forever for accessoires (I loose or break earrings, sun glasses and necklaces way to often to spend more than $5-$10 per piece) but I started shying away from the clothes a few years ago. Although, to be fair you can still find some cute and age appropriate stuff. Plus, XXI is a great place to experiment with trends that you may not be ready to really splurge on (think neon and tribal print). But something better about DP is they constantly have some promo going on where you can save anywhere from 10% – %50. 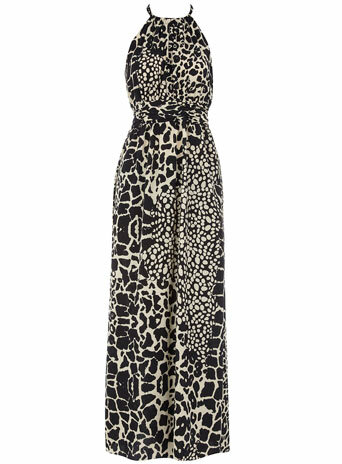 My latest score is this animal print halter maxi dress for $59 (it looks and feels a lot more expensive)! Maxi dresses can be challenging for petite women because they can really “consume” you. But this fits beautifully! The fabric is light weight and drapes effortlessly. It ties at the neck and waist, really allowing your shape to show. It can also easily be dressed up for date night and dressed down for a trip to the farmer’s market! I honestly don’t think the picture does it justice. It’s actually a very good thing DP isn’t on this side of the pond – it would just be too dangerous for me!